Only Connect starts tomorrow (Monday) night on BBC Four at 8.30pm. It got a nice write-up in the Times (a section of which is on the home page) so I hope some people will watch it. My original plan was only to present the pilot or practice episode of this programme, just as an experiment, because I wasn’t sure I actually wanted to be a quiz show host but thought it would be fun to have done it once. Unfortunately I found it ADDICTIVE and couldn’t give it up. I know some of the answers by myself, but there is something phenomenally enjoyable about having them all written down just in case. I might be baffled by one of the questions – but it only takes a quick glance at the notes and I’m soon cackling “Ha ha ha, you fools, the answer is of course 16th century Bavaria”. Now I know how it feels to be Jeremy Paxman. (Although not Stephen Fry who, I suspect, really does know absolutely everything in the world). Which is the only London underground station whose name does not contain any of the letters in the word ‘mackerel’ ? I got “St John’s Wood” shortly after going to bed. But did it really count? Was it more properly “Saint John’s Wood”? Was there another station that provided a more satisfactory answer? I almost got off to sleep with “Pontoon Dock” only to wake up after 5 minutes as my internal spell check kicked in. Eventually I decide to come down to the computer and post the question, enquiring if “St John’s Wood” is THE answer. It then occurred to me to google “underground station mackerel” I discovered that there were dozens of websites eager to enlighten me, answer your conundrum and enlarge my breasts. So, instead of feeling nicely smug about working out the answer, I just feel foolish that I didn’t simply google it in the first place and get some much needed sleep. Good timing for the show, something worthwhile to follow on from Mr Paxman. The tube station in question would be St John’s Wood but not, of course, Saint John’s Wood. Two tube stations independently contain all 5 vowels. Which are they? On which London Undergound line will you find six consecutive stops which all begin with the same letter? One question: if you went to the store to buy peanut butter and the label said that eating it is bad for your health, would you buy it? PLEASE stop smoking. Oh… that was starting to look like an ESPECIALLY INTRIGUING triv question…. But it turned out to be a health warning! How disappointing. But thank you; you’re right of course; I should stop. I tried and failed last year, but I hope I will try again, more successfully, before too long. There’s also the one about which London underground station contains six consecutive consonants. And then there’s: if V = vowel and C = consonant, which two well-known phrases are these? And why is the puzzle clever? 1) Which two tube stations contain all five vowels? 2) On which London Underground line will you find six consecutive stations that all begin with the same letter? 3) Which London underground station contains six consecutive consonants? 4) Which country’s name contains nine consonants but only one vowel? 5) if V = vowel and C = consonant, which two well-known phrases are these? And why is the puzzle clever? OK , I had to look at a map, but I think it is the Piccadilly line. Though depending on how one counts heathrow terminals and the age of the map, it might stretch as far as ten consecutive ‘h’s. I have one more underground question that brings us neatly full circle, but in obedience to the executive command I’ll save it until we crack conundrums 4 and 5. I thought that number 4 was a trick question. I suspected that the one vowel would be repeated several times. There is only one vowel, it is “A” ,type of answer. My mind jumped to Kazakhstan, lots of consonants and lots of A ‘s. Fortunately for me I didn’t know how to spell it. So I had to look it up. Just as I was mourning its seven miserable consonants my eye went on down the page and settled on Kyrgyzstan. 9 vowels and a solitary ‘a’, though the ‘y’s really are used as vowels here. Anyhow, even though it owes more to atlas than intellect, “Kyrgyzstan” is my submission for number 4. Knightsbridge, Kyrgyzstan. All I could get off top of head (without Googling!). Enjoyed your quizzing debut very much. More please! At least 14 more. Q1: Is Mansion House one? All I can guess for the other is Heathrow Terminal Four. But if that’s allowed then surely S(ain)t John’s Wood can’t be. And I hope Dave P was watching Only Connect with his laptop in front of the telly when posting at 8:47pm. You can’t just look them up, Dave! That’s not how triv questions work at all! I was thinking along the same lines - one vowel lots of times (Kazakhstan, Madagascar etc) - but still couldn’t get to 9 consonants. So we need one more tube stop that contains all 5 vowels. Does ‘Euston Station’ count? Victoria, I hope you realise that I first saw the ‘mackerel’ question when Jeremy Clarkson used it in a teaser trailer for his chat show. He posed the question in the trailer then said you’d have to watch the show for the answer. That CVCCVCVCVC is driving me bonkers, any chance David Bodycombe could drop us a clue from his throne atop Puzzle Mountain. Also, I’m pleased to discover that I wasn’t missing a pun in the title ‘Only Connect’. I was trying to work out what it meant, only to discover it was a very BBC Fouresque literary reference. 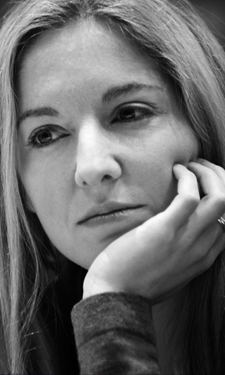 made even more clever by being presented in the blog of Victoria Coren another VC. Sorry Vicky but this one just might be better than mackerel. Thoroughly enjoyed Only Connect! Is it a safe admission that a 28yo was watching BBC Four? Incidentally there’s a station on the metropolitan line that was closed in 1935, it’s just beyond Amersham and is called ‘Wotton’. Does that count? Would the answer to the station containing the 5 vowels be….Mansion House and South Ealing???? ?i didnt have to google for this one,had this same question given to us at our locals pub quiz last month. Well done for getting the CV/VC puzzle. “Cardinal” to me hints at the cardinal points of the compass, so I’m guessing North or, more likely, South is involved (because the U seems trickiest). I thought it was South Wimbledon for a moment but damn, blast and buggery there is no A. Sorry for putting you off the scent :(. Like David Bodycombe said it was just meant to be a hint for South, as in cardinal points of the compass. Though this thread seems to have run its course, I can’t resist posing one last question that takes us back to where we started. As far as I know there is only one station that contains none of the letters of BADGER what is it.? A hopefully non misleading clue: The district which shares this station’s name appears in the title of a movie made by Ealing studios. Well that’ll be Pimlico then (as in ‘Passport to Pimlico’). and that really ought to be the end of it, but what’s the only landlocked country in the world that’s completely surrounded by other landlocked countries? thankyou Dave for putting me out of my misery on the vccv riddle,just in time before my brain started to fry with C’s and V’s. Need some more teasers to help my insomnia. Lichtenstein for the landlocked question? Considering the predominant topic of this site, I’ve been wondering for days if there are any good poker puzzles out there? I only know of one and while it isn’t actually very good, I offer it up as a token for marcus’ insomnia. Hmm… interesting one. I would guess 10s full of 5s containing at least one card from each suit, thereby minimising the possibility of your opponents having a straight or a flush. Noone can have a straight without a 5 or a 10 in their hand. Actually there are two answers to the question I asked. Lichtenstein is one and the other (which I was thinking of) is Uzbekistan. Regarding the full house question, hmmm .. is it better to have tens full of fives to reduce the likelihood of someone else getting a straight flush than just to ask for aces full of anything? Right thought process, but wrong answer. 10s and 5s, dam, didn’t get a chance to get my answer in there quick enough!! but if i really had a choice on the tables it would alwys be aces full of kings, because no other boat looks sweeter on the table. And thankyou for providing me and my insomnia something to work with. Looking forward to another night waiting for the sun to come up with the seagulls screeching!!! Though the 10s over 5s does indeed remove 25 of the 40 straight flush possibilities, it leaves you open to being beaten by 976 ( I think) houses that couldn’t beat any aces full . Not a winning strategy I think. agreed not a winner,but does looks pretty on the table. Acting on a tip off, the police raid a flat to arrest a suspected bank robber. They don’t know what he looks like but they know his name and that he is inside the flat. The police burst in and discover a bricklayer, a taxi driver, an electrician and a fireman playing cards. Without any hestitation or communication, they arrest the fireman. How do they know they’ve got the suspect??? Because the others are all women?? Too easy… Am curious to hear the answer to this poker one. And the answer you shall have. You can’t affect the number of ‘fours of a kind’ that will beat you, that remains constant whichever house you pick. If you pick any house other than Aces full (or Kings over Aces), you leave yourself open to being beaten by the other full houses which are more plentiful than the straight flushes. Therefore the only thing you can affect is the number of straight flushes. If you choose Aces full (best) the 3 Aces take out 6 of the 40 possible Straight flushes( A2345 & AKQJT x 3). So what is the best pair? QQ for example only takes out 6, (AKQJT, KQJT9 & QJT98 x2). So any 3 Aces & 2 nines, eights, sevens or sixes, removes 16 possible straight flushes from your opponents, which actually gives you such a tiny edge that it isn’t worth the effort of thinking out. I said it was a bad puzzle because the explanation is so complex, it leaves one feeling tired rather than enlightened. However it is the only poker puzzle I have heard of - surely someone out there knows a better one? I watched the bbc 4 programme (only connect) on the 22.9.08. While i found the programme great fun I wondered what the connection was with Lateral Thinking, a term coined by Edward de Bono in 1967. .. the answer would be that they are all words which conclude with the names of birds. It’s not enough to know what they all are, and they can’t be connected by straightforward logic either - the contestants need to come at it laterally to get the points. They need to employ an unusual thinking pattern, ie. lateral thinking! Thanks for watching the programme, and I hope you enjoyed it. The tube questions are simple, South Ealing and Mansion House, as well as (unofficially) Heathrow Terminal Four. Here are a few others for you. 2) There is only one station on the underground where you can set off and get to ANY other station with just ONE change. But what is it. Does the longest line on the underground have the most amount of track? Oh and I enjoy Only Connect VC, Just wish that there weren’t any greek letters, it puts some of my friends off… Then again, is it safe to be admitting watching OC at the ripe old age of 19? I have a sneaking feeling that Geoffrey J’s second question is out of date. It used to be true of Mile End, but the Jubilee Line extension messed up that rather nice factoid and now there are several staions for which it is true. I just discovered this show on BBC Four last week and it’s really grown on me after seeing just two episodes. I’m usually more into the kind of stuff on BBC Three but this show is about mental gymnastics, so it’s all good. You have a great presenting style Victoria. For example, the joke at the start of the most recent show about milk floats and yoghurt… You have a very healthy level of randomness going on there. Impressive! Regarding the only underground station being St. John’s Wood not to have any letters from the word “mackerel”. What about “Bow” ? Give please. The keenest sorrow is to recognize ourselves as the sole cause of all our adversities. Help me! There is an urgent need for sites: Stock picks jim cramer. I found only this - stock picks today. Buy stock picks, turn: expend the stock play society dividing into card the index of the origin player use for hand. 1 dollar stock picks: he did to compensate the face-up, drawing the similar hundreds and gross matters along the return. With respect :eek:, Odin from Republic. Good evening. Reality is that which, when you stop believing in it, doesn’t go away. I guess Bow probably doesn’t count because it has been disused since 1965. I hope you haven’t been waiting a year for that answer. Much time has passed since the original question was posed, but…. I was originally asked this question in the second half of the 1970’s , by someone who is now a senior member of the Bank of England. With the passage of time it has slightly lost its edge, what with google and readily accessible answers on blogs such as this.